The Sweet Briar College Land-Atmosphere Research Station (SBC-LARS) is a state-of-the-art research facility for studying biosphere-atmosphere interactions near the beautiful foothills of the Blue Ridge Mountains. 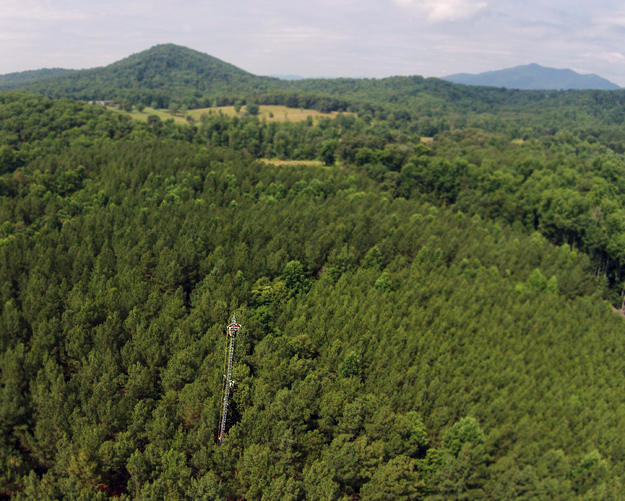 Located on the campus of Sweet Briar College in central Virginia, the facility features two micrometeorological towers: one tall tower in loblolly pine (pictured here), and one in switchgrass. This provides unique and exciting research opportunities, especially to undergraduate women, in the areas of biofuels, ecosystem science, atmospheric science, air quality, meteorology, and forestry.